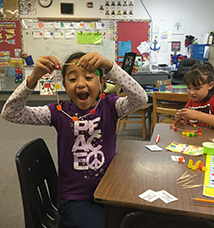 Located in Pomerene, Arizona, our single campus district creates a peaceful, close-knit, involved community—great for fostering learning for our students. At Pomerene Elementary School, we take pride in our past and honor the traditions of excellence established by our students and staff. We desire to build on these traditions and help our Panthers aspire to even greater ideals and accomplishments. Pomerene School District is a welcoming school community whose mission is to provide an engaging and safe learning environment, emphasizing quality education and traditional values that prepare students to seize opportunities for success. We embrace the time-honored values of honesty, respect, responsibility, and a strong work ethic. These traditional values are cherished by our community, have served us well in the past, and are important to our future. We are constantly seeking better and more efficient ways to accomplish our mission. We are never content with the status quo in our operations or in our curriculum. Our programs must provide real life and practical experiences that prepare students for the demands of change. Transparency is essential. We are committed to communication characterized by mutual respect between students, staff, and parents. A home/school/community partnership with open communication is critical to building and maintaining healthy, productive relationships. Our facilities and technology should reflect the high value we place on education. We take pride in a campus that is safe, attractive, and welcoming. Our school belongs to the community. It is the hub for cooperation, partnerships, and ties to past generations. We actively seek to make the school accessible to the community and responsive to their needs. Student activities are essential. Participation in field trips, student organizations, as well as athletic and academic competitions enriches a child's educational experience. These activities provide opportunities for teamwork and the development of leadership skills.